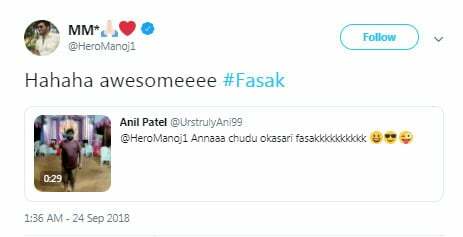 Atanu oka star celebrity, kani twitter lo prathi fan questions ki opigga reply isthadu, society lo jarguthunna issues mida oka stand tiskoni first respond avuthadu. 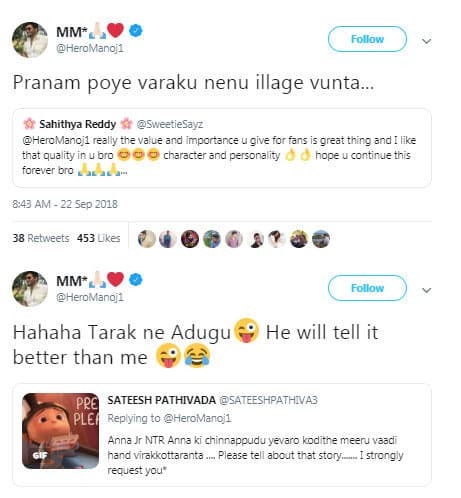 Even tana father mida trolling tweets chesina kuda picha lite tiskoni twitter lo positive ga respond avthadu. 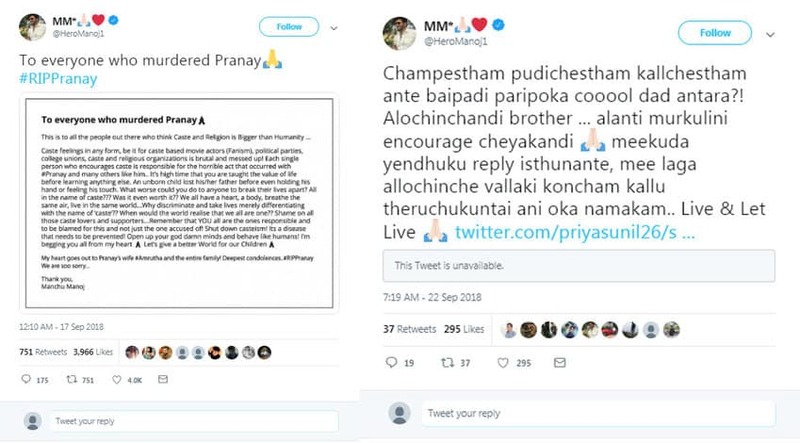 Evaro teliyani lovers iddari mida caste ane evil attack cheste adi tappu ani ala jargoddu ani open ga oka letter rasthadu. 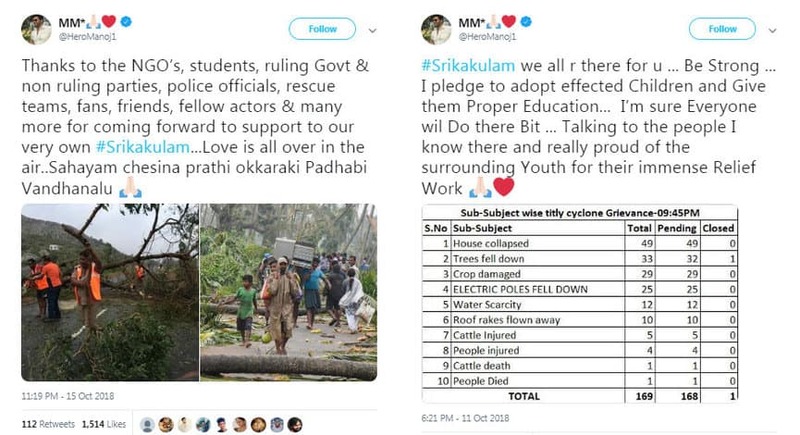 Inka edaina natural disaster like cyclones, rains lantivi vasthey first respond avthadu anthe na ante….. kadu inka chala ne chesthadu. 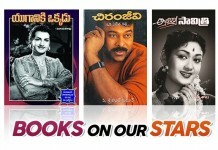 Ee patiki miku atanu evaro ardam ayye undali atanu evaro kadu mana Manchu Manoj kadu kadu Manchi Manoj. 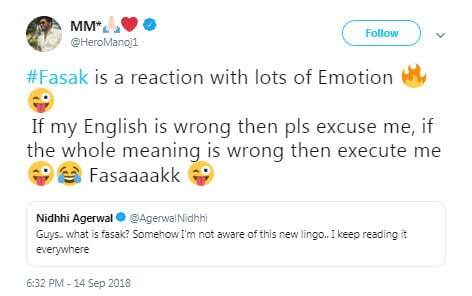 Awnu andi atani tweets chalu atanu ento chepadaniki kavali ante miru chuseyandi. 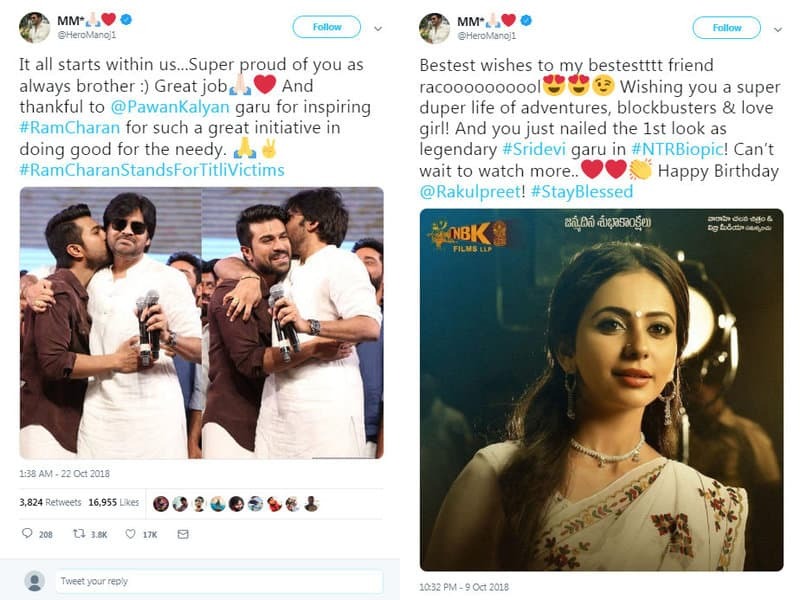 Ee tweets chadivaka Manoj mida miku unna respect inkonchem perugutundi …. 1. 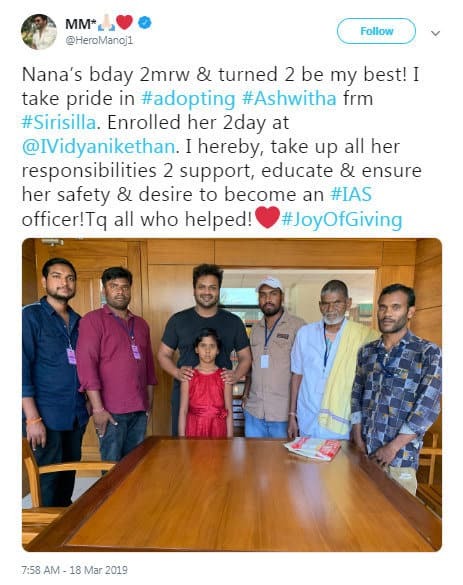 On Occasion of his dad Mohan Babu’s 69th birthday he adopted a girl ! 2. Took stand and conveyed his message on Pranay Amrutha Issue. 3. Interaction with every fan and replies to every tweet he can do. 4. Even he loved fassak dubsmash videos. 5. When someone said nuv celebrity and luxurious life enjoy chestunav. 6. 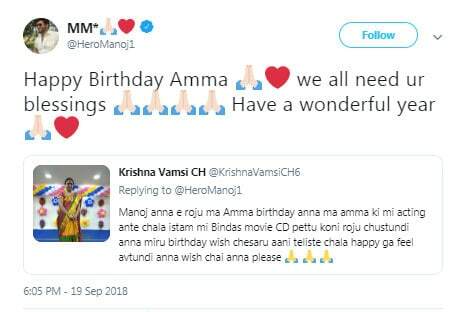 One twitterati asked to wish her mother on birthday. 8. 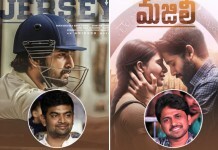 He’s always pour love towards his co-stars. 9. 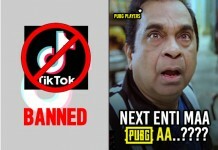 When everyone trolled his father.